Looking for trendy collection of women's trousers on Jumia, we have a diverse collection. You can try on your leggings on a dress or short pleated skirt. Discover great deals on your bespoke tailored trousers. Buy or sell in-style women’s pants like the cigarette slim style, the pleat stitch designs, the mix wide leg and stay ahead of the pack on fashionable trends. Women's trousers that we have are of different designs and can flow well with nice T-shirts as well. Give your wardrobe an image boost this season with nice pair of pant trousers that any woman will crave to have added to the wardrobe. We have the flared styles, the patterned trousers and the ones with flowery designs. There are also joggers, tracks for athletes and other trousers that can be worn as the occasion demands. When you are caught in those lovely looking floral pants, animal prints you can come out looking gorgeous among your friends, on the red carpet and other special events. Choose from our wide selection of women's trousers whether for cold or dry seasons as the case maybe. Ladies' trousers are very comfortable and easy to wear for today's fashionista. Find a great pair for a cheap price at Jumia, try on our stylish leopard prints, ripped fronts, and gold patents. On Jumia, we have a wide range selection of figure flattering jean wears for women, affordable ladies' leggings and more on trousers for women. Buy your favorite brands like Faded glory, John's, BQB, Banana republic and more. Get trendy and fabulous jeggings for hourglass, pear shaped body shapes at amazing prices. In modern times, ladies love for leggings are on the rise, not only because this fabric makes them look smarter but they also look sexier when they wear those leggings and they can find some much comfort in them. You will find an extensive collection in different sizes, colors, designs from different brands here on our online platform. You don't have to spend a fortune to shop from the best brands here. On offer here are ladies' jeans, jeggings and an abundant collection of clothing accessories for women at the lowest prices. Whether you want regular, skinny, straight cuts of trousers or simply formal pant trousers to wear to corporate events, you can find all here in different materials like wool, cotton, polyester, silk and many more. 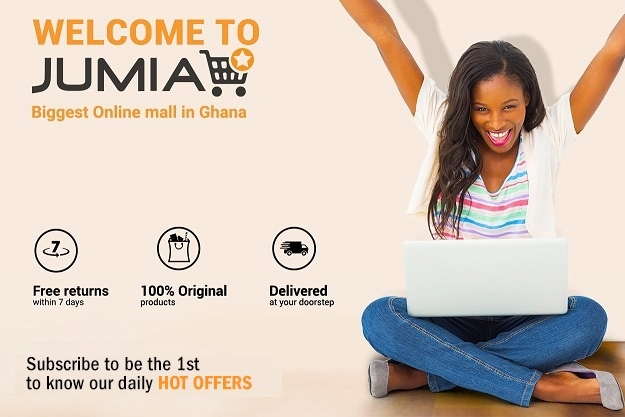 Find a wide variety of these products when you shop on your favorite online shopping mall – Jumia Ghana. Save yourself a good amount of cedis when you shop with us today.